Her power: No superpowers, just a brilliant scientist and geneticist. 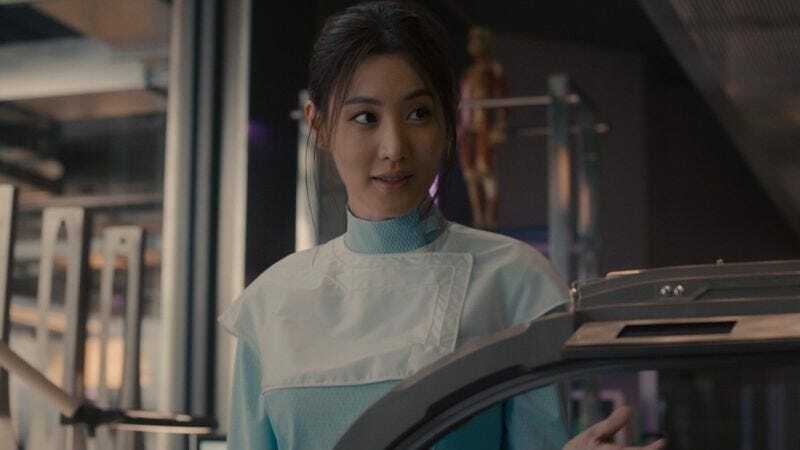 Her story: Helen Cho’s first appearance is in Avengers: Age Of Ultron, where she’s first seen working in the Avengers tower in New York, using her advances in genetics to create synthetic skin that’s indistinguishable from human flesh. (And also trying not to act like she has a crush on Thor.) She’s at the party in the tower several days later when the malevolent A.I. known as Ultron gains sentience and attacks the team. However, he spares Cho, realizing she would be useful in helping him creating a hybrid organic/cybernetic body. Once back at her lab in Seoul, Ultron shows up and uses the scepter to force Cho to help him create his synthetic body. However, after Scarlet Witch realizes what Ultron is doing, she frees Cho from the scepter’s influence, and she proceeds to sever the link from which Ultron was uploading his consciousness into the body. He hits her with a concussive blast, but she lives, and after revealing Ultron’s plan to the Avengers, recovers and joins the Avengers at their upstate New York facility to continue her work. Currently, Helen Cho is: Presumably hard at work in Avengers HQ. Where will we see her next? Unknown, though it’s possible she’ll turn up Avengers: Infinity War in 2018.